Differentiated instruction is a nice idea, but what happens when it comes to assessing and grading students? What’s both fair and leads to real student learning? 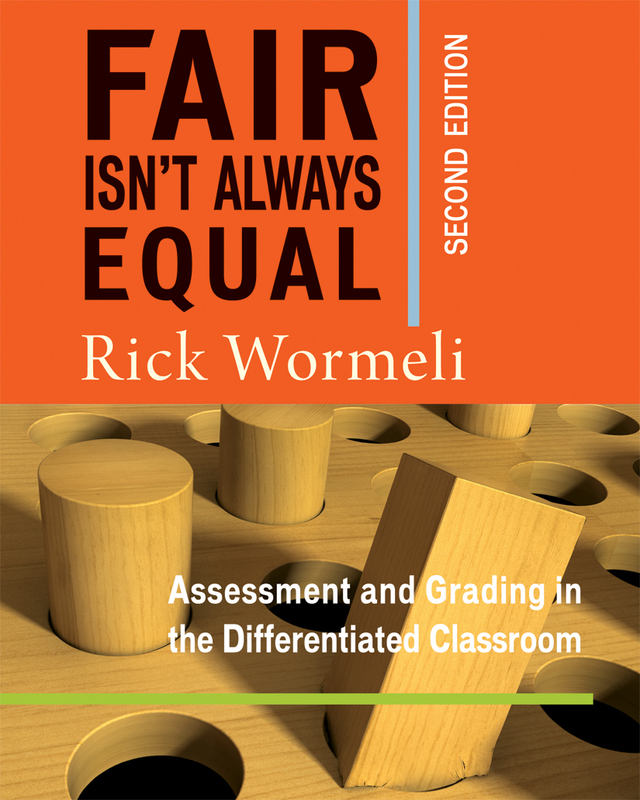 An internationally recognized expert on grading practices, Rick Wormeli first examined these questions 10 years ago in the first edition of Fair Isn’t Always Equal. In this thoroughly updated second edition, Rick provides a catalyst for serious reflection on current grading and assessment practices in differentiated classrooms. The book outlines coherent and effective standards-based grading practices for a high-stakes, accountability-focused world. Recognizing the importance of having a shared school vision for assessment and grading, Rick addresses the challenges for teachers and administrators alike. Educators from kindergarten to high school will find real examples and gray areas of grading. Rick tackles important and sometimes controversial assessment and grading issues constructively, incorporating modern pedagogy and the challenges of working with diverse groups of students. New sections address sports eligibility, honor roll, descriptive feedback techniques, and gifted/talented students. Chapters on test questions, redos/retakes, grading scales, and grading effort and behavior have been revised extensively. This important book clearly explains the principles behind best grading practices so that you’re ready for all grading questions or realities that you may encounter in your classrooms and schools. Wormeli is bold. He is passionate, articulate, and relentless in his quest to make a case for differentiated education...this is a book to take chapter by chapter and use to assess your own assessment and grading practices—a book to commit to, with a community of colleagues, to discuss, to debate, to share with both teachers and administrators. Chapter 12 Why Do We Grade, and What About Effort, Attendance, and Behavior? Chapter 20 Putting It All Together: How Do Differentiating Teachers Assess and Grade Differently? The logic of his arguments are impossible to ignore. In this second edition, he expands on the powerful ideas that started a movement in education. This seminal work is the foundation of the change process that led our school to adopt standards based grading practices almost 10 years ago. Be prepared to change.